Vasco da Ghama was born in Sines Portugal in 1469. He was set to the task of finding a direct trade route to Asia, which was his fathers, but he passed away before he could leave. 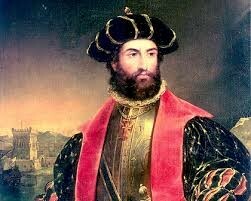 He left on July 8th 1497, and did not reach India Intel May, 1498 after making several stops in Africa. Vasco da Gama's motivation for travel is God, and "Gold". His first goal was to spread christian faith, to new lands. His Seconded motivation was to find a direct trade route to Asia to gain access to new spices and other goods. This would make his town much richer by buying, selling, and trading goods. 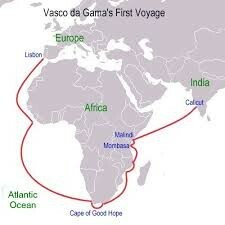 Vasco de Ghama is credited with finding a direct sea route from Europe to Asia, by sailing around Africa.